Hi everyone! 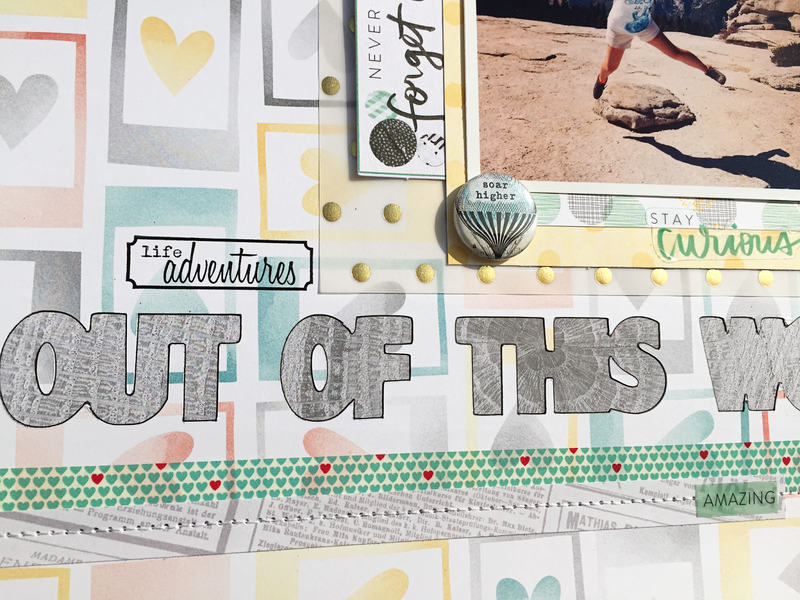 Today I have a layout to share that I've made for The Cut Shoppe with one of the new cut files Over the Moon. I just had to use the 'out of this world' as a title for this picture. 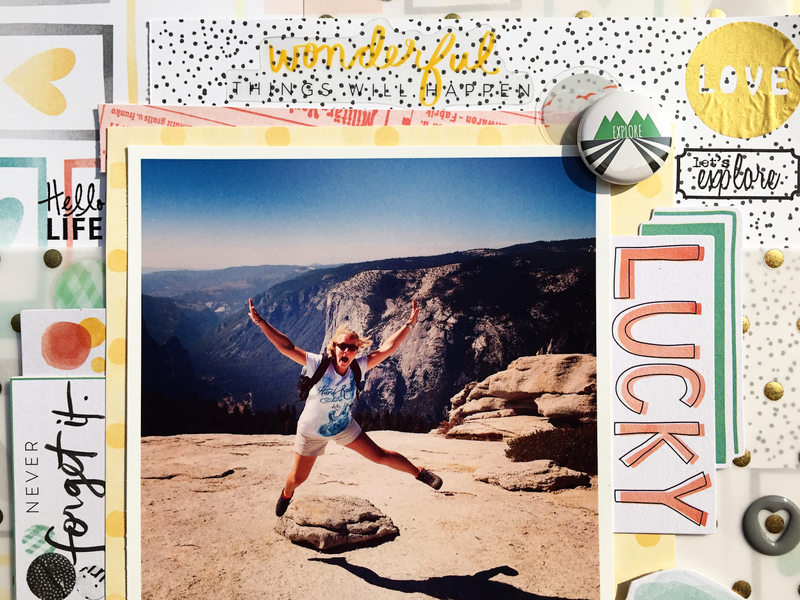 It's one of my fave pics taken during my latest California road trip, on top of Sentinel Dome. It was quite a hike to get on top of the Sentinel Dome, but the view was amazing! It gives you a great view on both El Capitan and Half Dome. You can see El Capitan behind me in the picture. For my layout I used the Amy Tangerine Stitched collection, two buttons from A Flair for Buttons and stamps and washi tape from Little.Miss.Evie. Awesome layout!! Love the spotty vellum! Such a cool layout! Love what you did with the title. 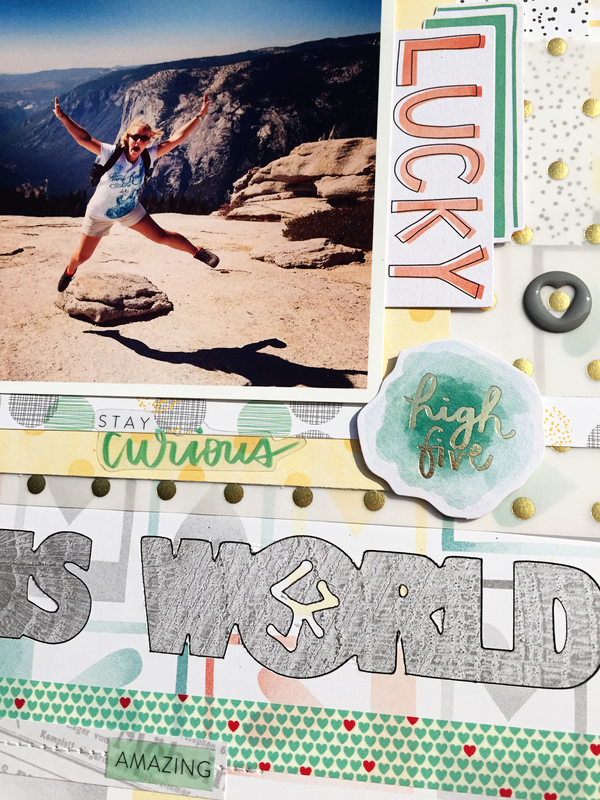 Such a fun layout Danielle! 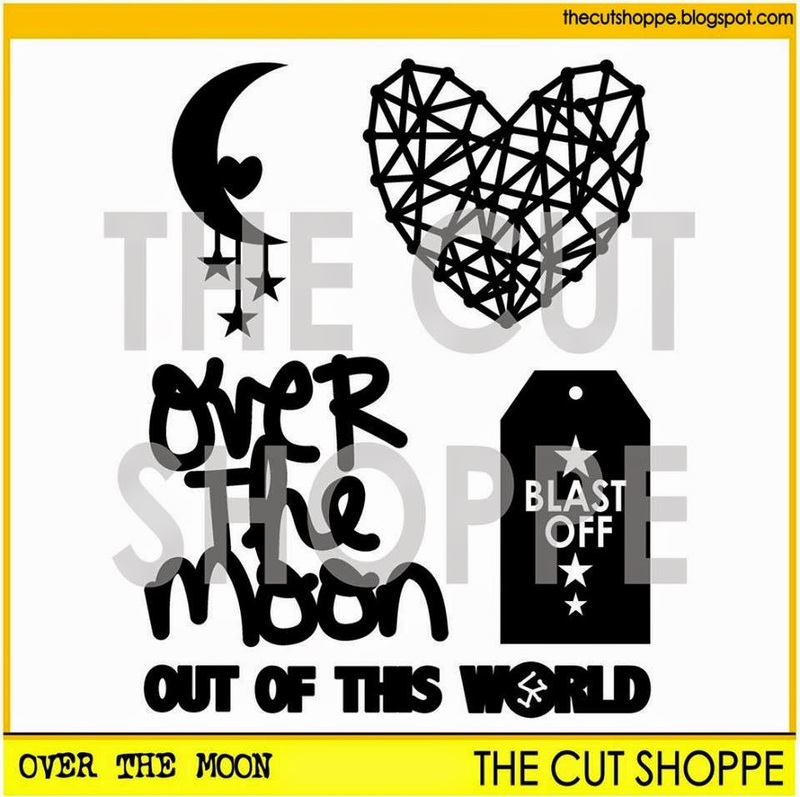 The phrase from the Over the Moon cut file goes perfectly with your photo! !